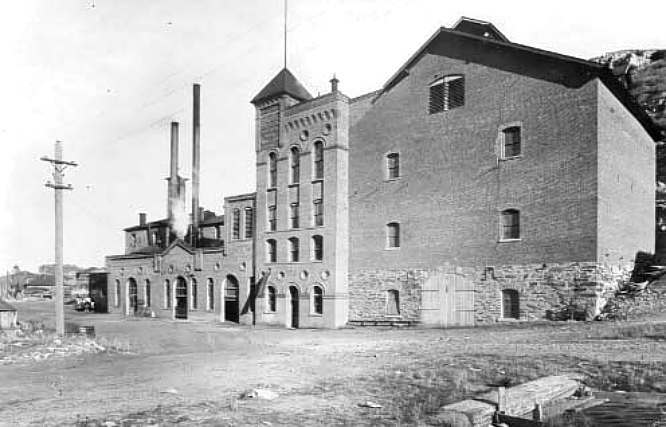 The theatre was housed in what was once the Capital Brewery, pictured above in operation during the 1890s. 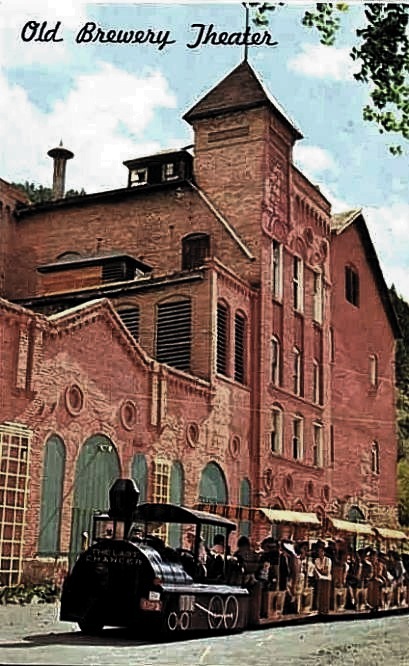 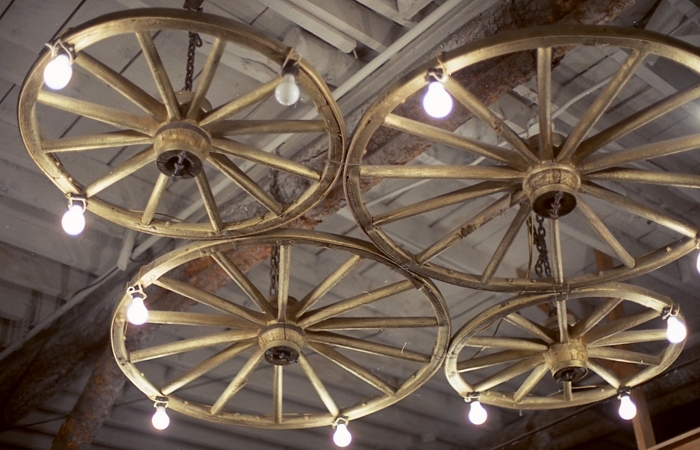 Parts of the Capital Brewery building dated back to 1865, when it was the Helena Brewery. 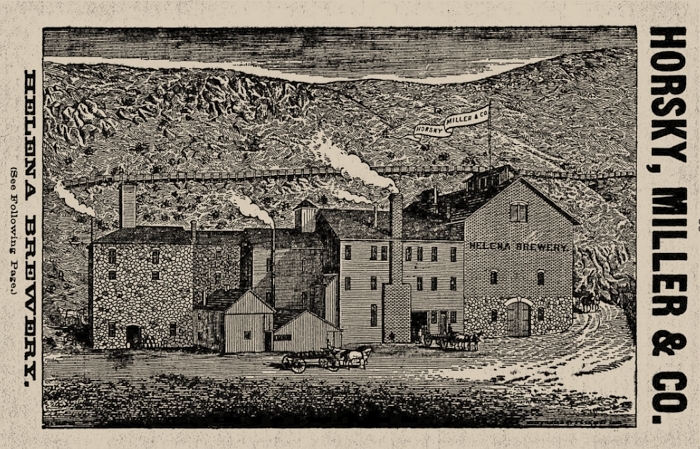 It became the Capital Brewery in 1885, and was expanded over the decades. 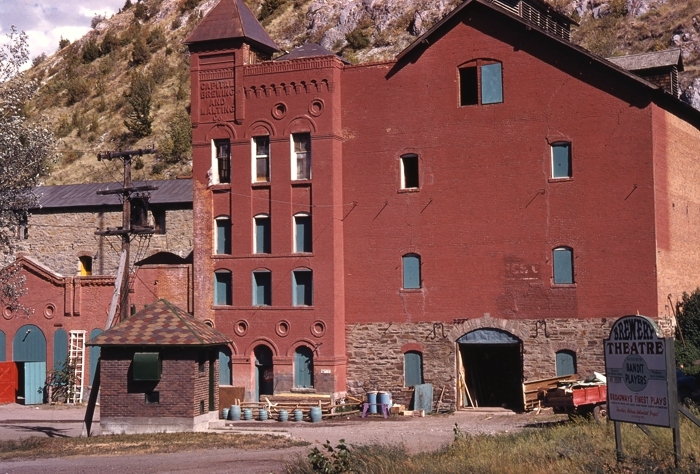 The building was demolished in July of 1973 as part of the Urban Renewal Program, which destroyed many of Helena's Victorian buildings. 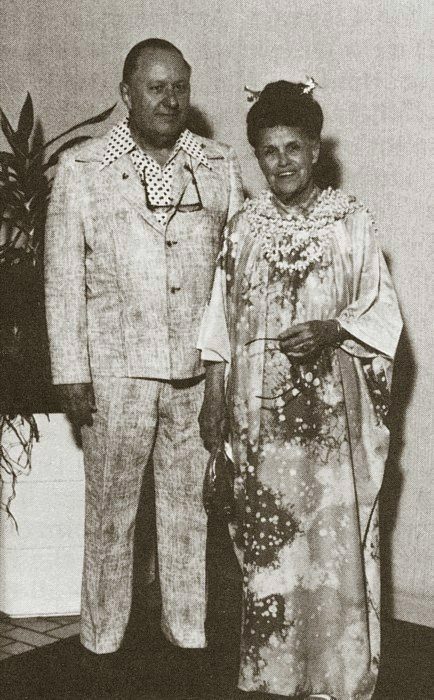 Walter was a native of Connecticut, and Doris came from the state of Washington. 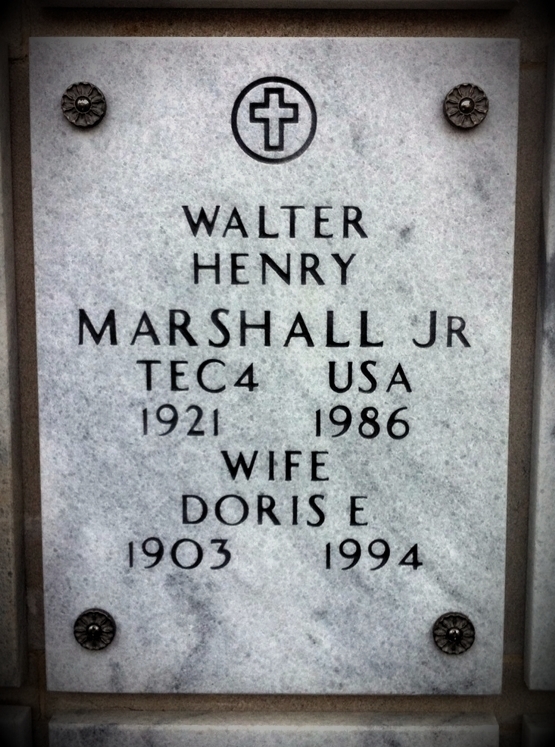 They met in Arkansas during World War II, when Walter was a U. S. Army public relations writer and Doris was a USO program director. 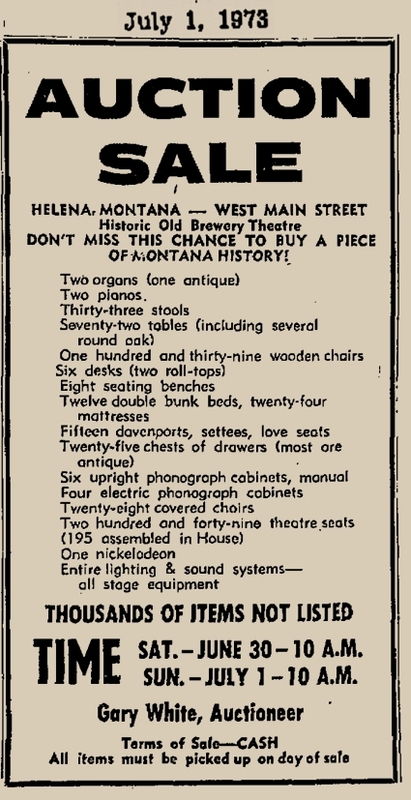 They married in New York City in 1947, and soon came west to Helena. 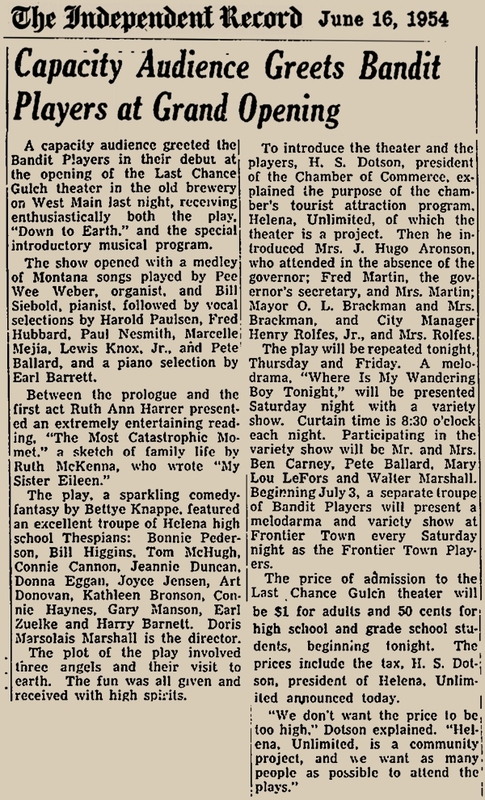 By 1948, Doris was teaching drama at Helena High School, producing and directing school plays, plus melodramas by the community theater group "The Pan Handler Players" at the Green Meadow Country Club and the Marlow Theatre. 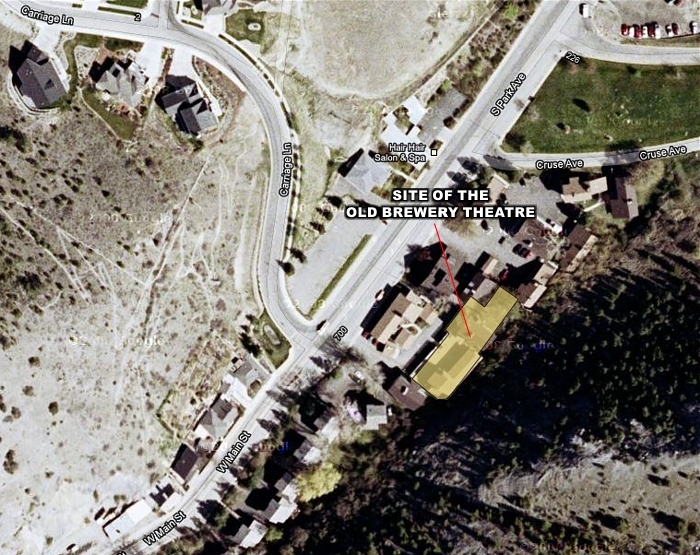 The Marshalls began producing plays at John Quigley's Frontier Town atop McDonald Pass in 1951. 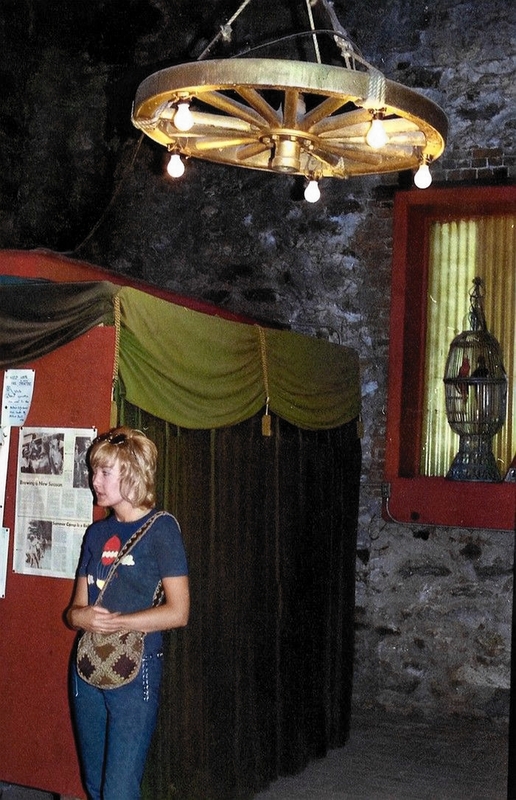 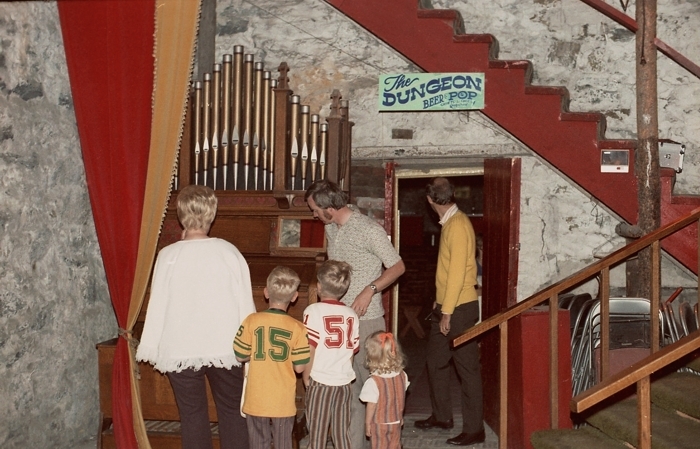 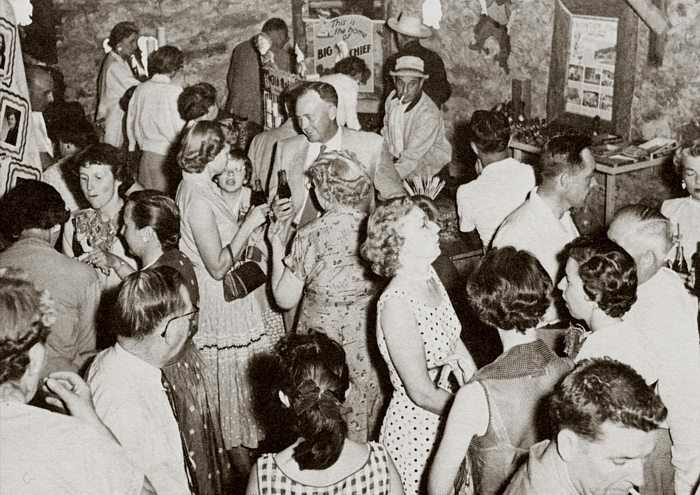 In 1953, "Helena, Unlimited" - a not-for-profit organization spearheaded by past Chamber of Commerce President H. S. "Hi" Dotson - purchased the run-down Capital Brewery building on West Main with the intention of converting it into a summer playhouse. 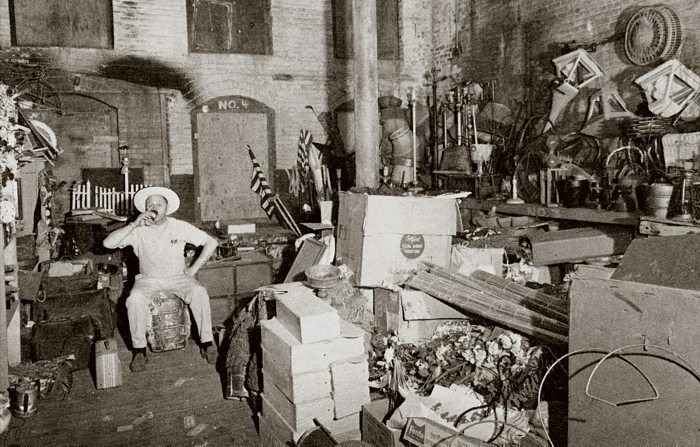 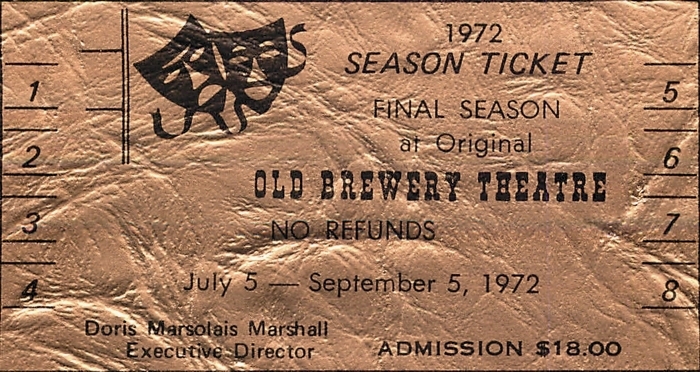 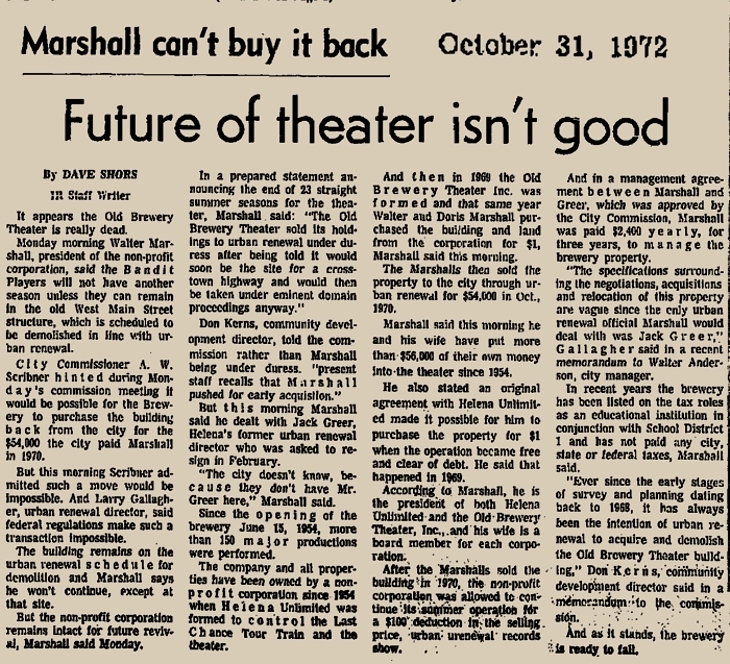 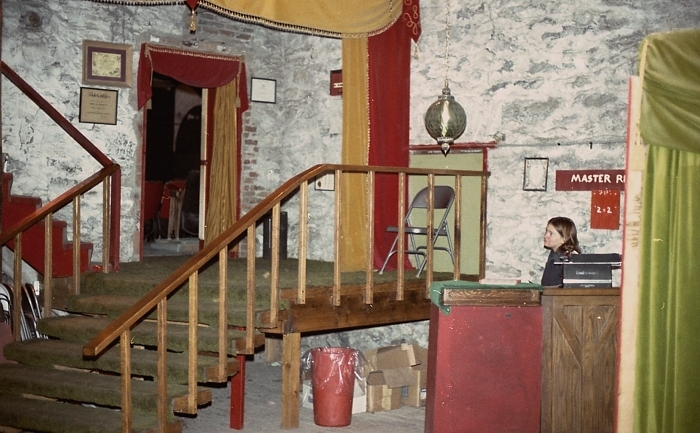 Using volunteer labor, the Marshalls oversaw the cleanup and renovation of the Brewery, and produced several plays there in 1954. 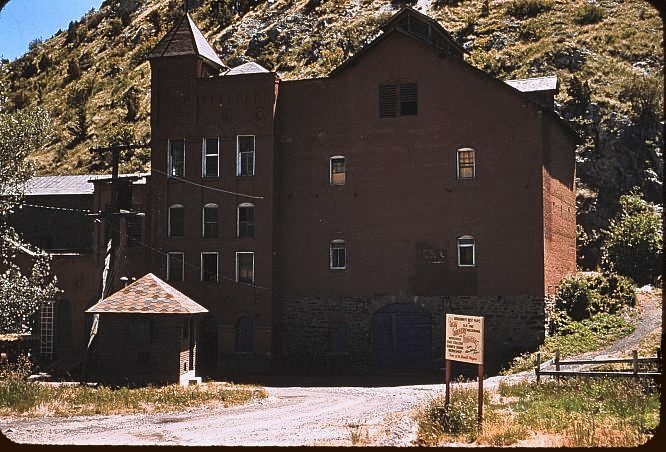 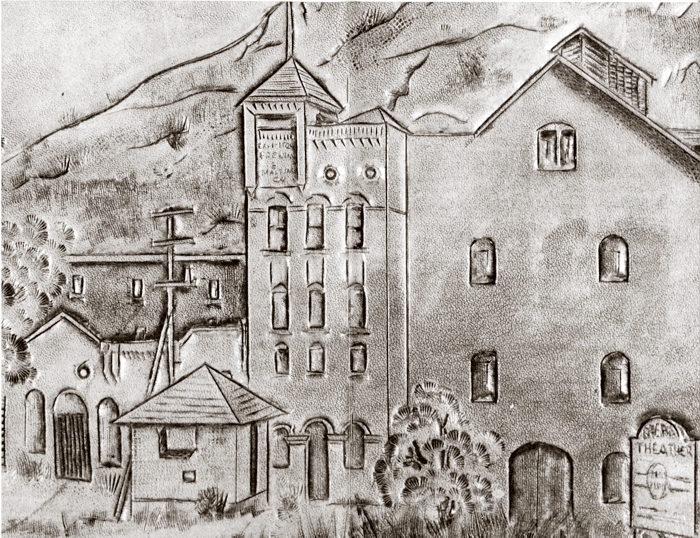 They also continued to produce shows at Frontier Town in '54, but in 1955 they began focusing solely on the Old Brewery Theatre and The Bandit Players. 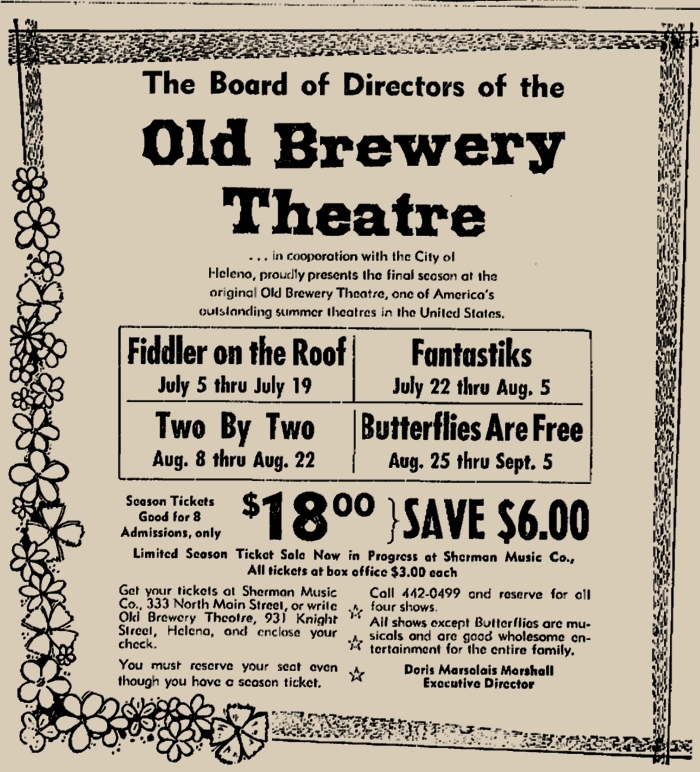 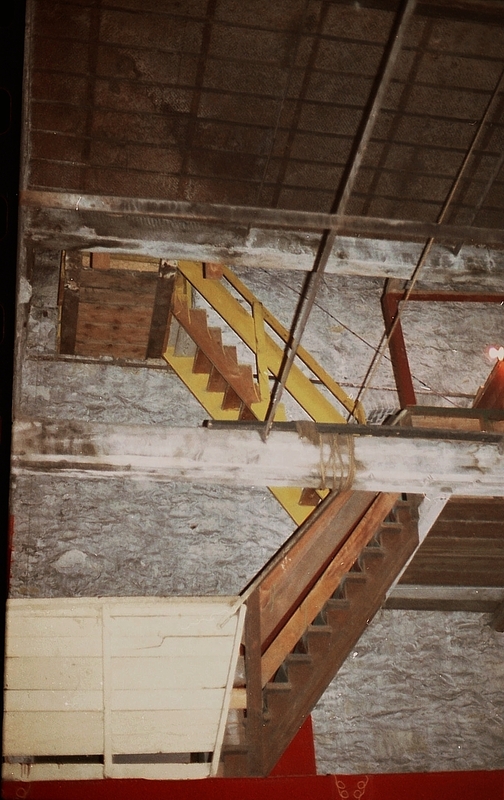 The Old Brewery Theatre, June 24 1957 (detail). 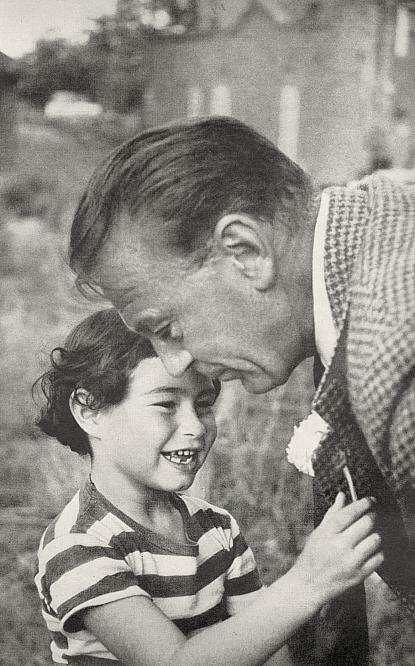 Film Star Gary Cooper (1901-1961), a Helena native, greets young fan Yvonne Slead at the old Brewery Theatre (in background), September 1957. 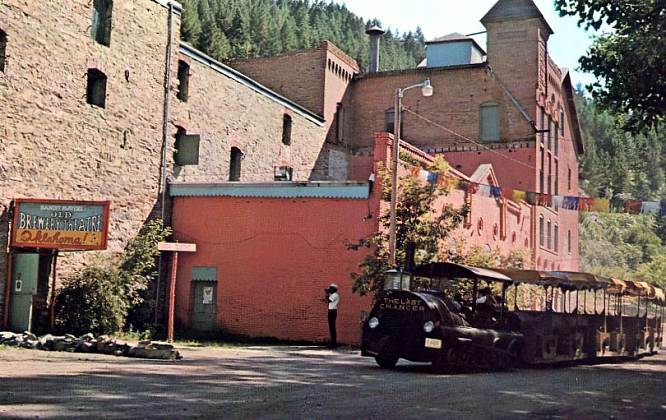 It was Cooper's last trip to Helena. 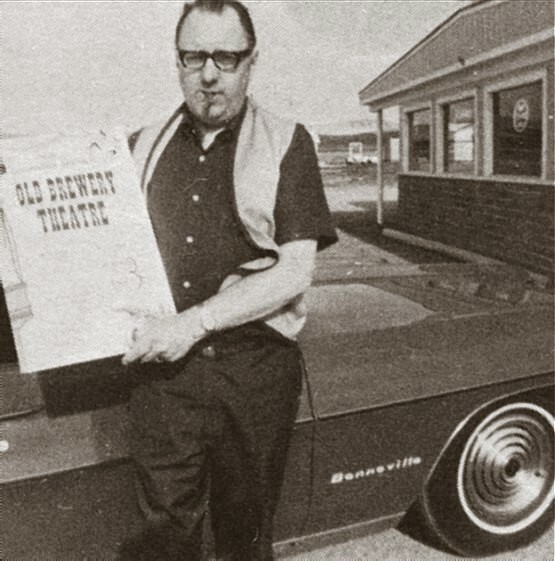 Walter Marshall, with ever-present cigar, holding an Old Brewery Theatre Poster, about 1968. 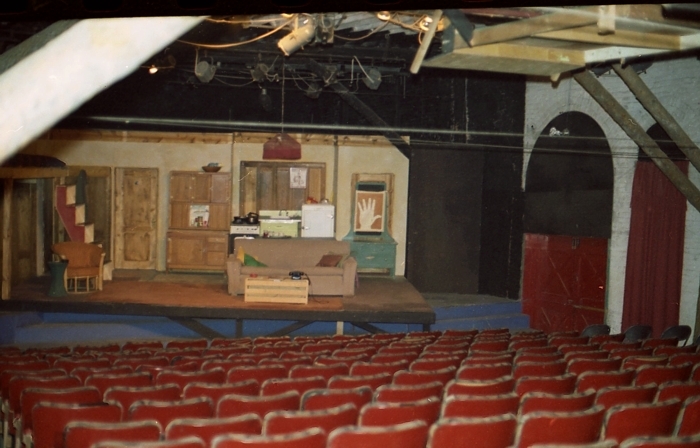 The Old Brewery Theatre was producing "Oklahoma!" 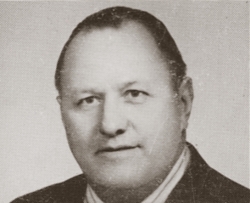 when this 1960s photo was taken. 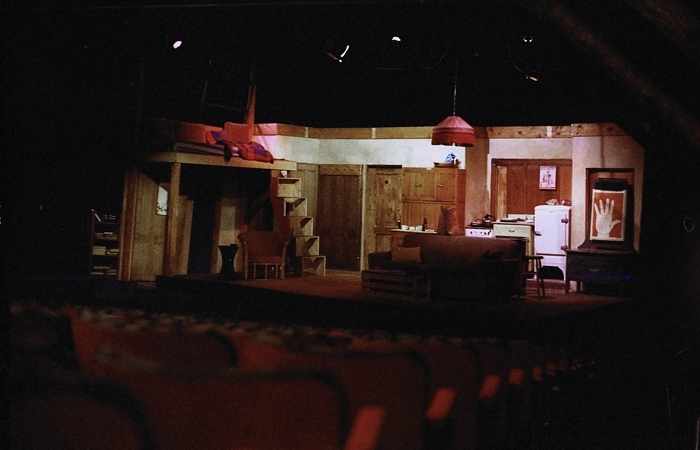 The set for "Butterflies Are Free"
Thanks, Bob, for sharing these memorable images! 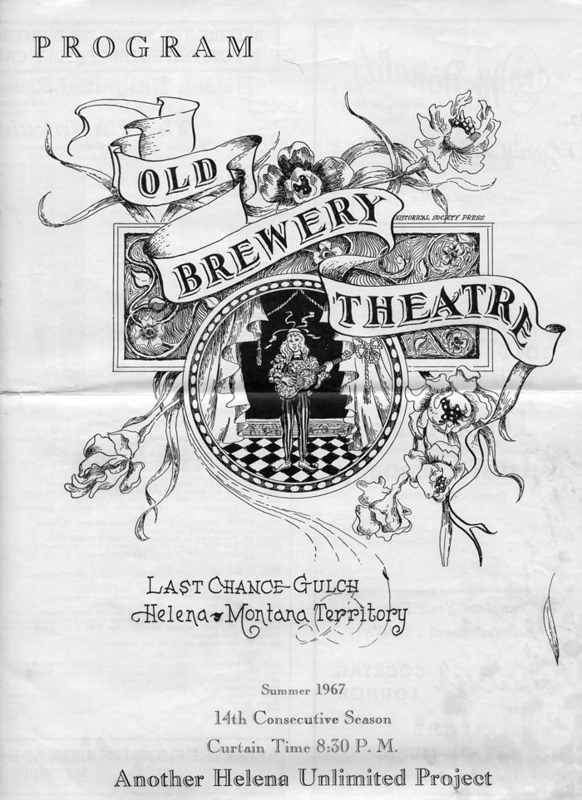 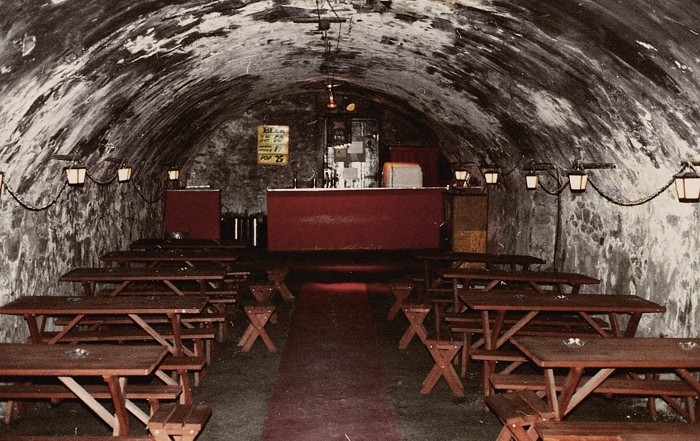 In his 1980s autobiography "I've Met Them All" (Falcon Press), Walter Marshall told the story of The Old Brewery Theatre. 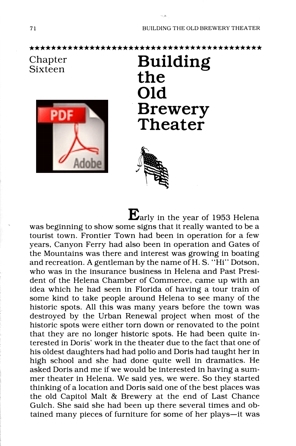 You may read it in PDF format by clicking on the image below.